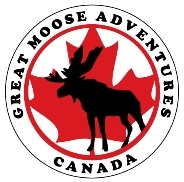 Great Moose Adventures prides itself as a highly respected, quality Outdoor Education Centre. To achieve this status, we rely on an amazing staff of hard working, passionate, skilled outdoor educators, teachers, ECE's and young professionals. As such we are always on the look out for new candidates and fresh faces. excellent opportunity for professional development in education and outdoor ed. If you are interested , please send a Resume & Cover Letter to directors@greatmooseadventures.com Thanks for your time & considerations.